A couple weeks ago, I was desperately craving macaroni & cheese. Not the boxed stuff, either. I had a burning desire for a gigantic tray of the homemade starchy fabulousness. I honestly think if someone would've put a heaping plate of the gooey goodness in front of me, I would've housed it in no time. Thankfully, no one put me in that predicament, but the fact remained...I wanted mac & cheese. Bad. So I made it with yellow squash. And bacon. I used feta and cheddar, but you could totally use brie and gorgonzola...or whatever. 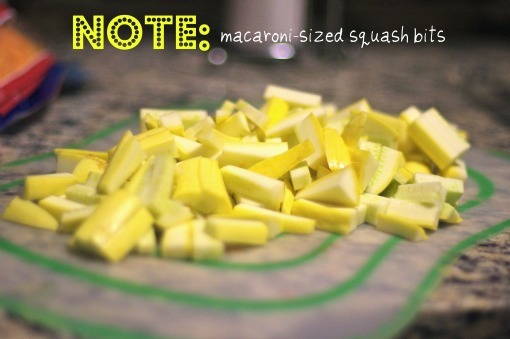 Cut your squash into thin, 1" slices. 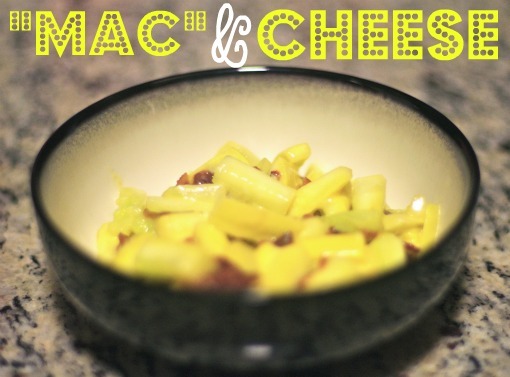 You know, like macaroni, but not. Melt butter. 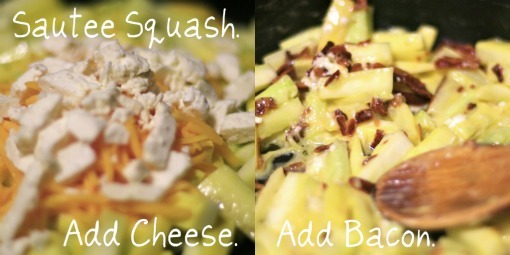 Sautee squash. Add cheese. Stir. Add bacon. Stir. 1. Melt butter on medium-high heat and add squash. Saute for 5 minutes or until squash pieces start to turn translucent. 2. 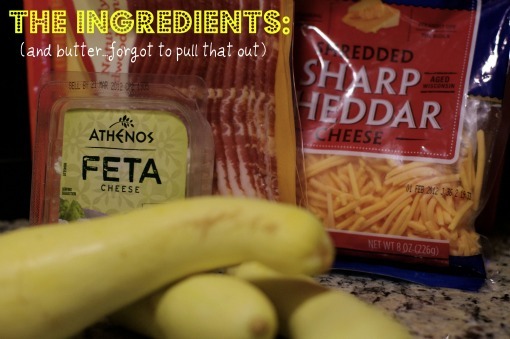 Stir in cheddar and feta and stir vigorously until cheese is melted throughout. 3. 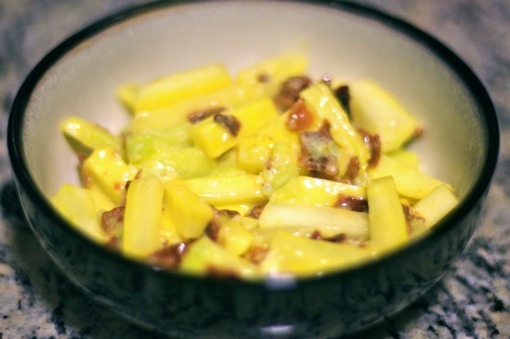 Add crumbled bacon and serve immediately. Mmm, I'm totally getting hungry now! And it's only 9:09AM, haha. I found you on LA's blog, btw. Hope you're having a fun week! So interesting! I will have to try this. Though I am quite a fan of the box. For once in my life I have EVERYTHING on the ingredients list and I'm going to make it NOW! Thanks lovie!